Many Americans likely view current day Vietnam as more of an economic revival success story, if they consider it much at all. For those old enough to remember the Vietnam war—especially veterans—Vietnam probably triggers memories and scars of that tumultuous time. 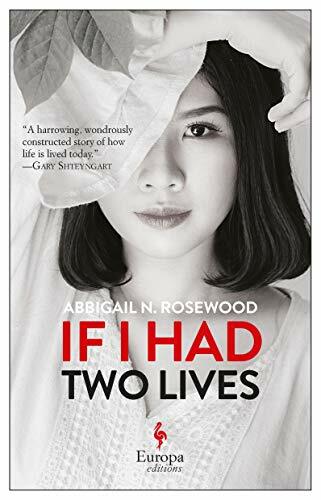 If I Had Two Lives presents a different view, a firsthand account of a childhood spent in postwar Vietnam and the inner turmoil left from that damaged past. Reminiscent of the title, the narrative in If I Had Two Lives is split into two parts. In the first half, the main character as a little girl is reunited with her mother at a Vietnamese military camp. Her mother, who appears to be held at the camp as a quasi-political prisoner, is distant and sharp with her daughter. However, she ultimately acts in her daughter’s best interests, pulling strings and arranging to send her at the age of 12 to the United States. The mother says she would meet her daughter there, but she never does. The second part of the book is very much as if the little girl who was her friend is haunting her. This takes place in current day New York City. The main character is now a young woman struggling to find her place and to be able to resolve her lack of family and connections. She latches onto a neighbor, seeing something in him that makes her think that he could be her soldier. She falls in with a married woman who has deeply unresolved issues herself, because the woman is reminiscent of the little girl from the camp. She even agrees to be a surrogate mother for the couple. The whole experience becomes in one sense traumatic, but in another, helps bring her to resolution. In her author’s acknowledgement, Abbigail N. Rosewood (who herself lived in Vietnam until age 12) mentions “the aching pleasure of rearranging memories, reinventing the past . . .” It does seem that this novel is an exploration of both memory and what might have been, that at times can be quite terrifying. If I Had Two Lives is a lyrical, exquisitely written novel that delves into ugliness in the most beautiful way. Marie Green McKeon is the author of A Balm in Gilead, a finalist for the 2015 Indie Foreword Award for Literary Fiction. Her journalistic work has appeared in thr New York Times, Philadelphia Inquirer, and other venues.